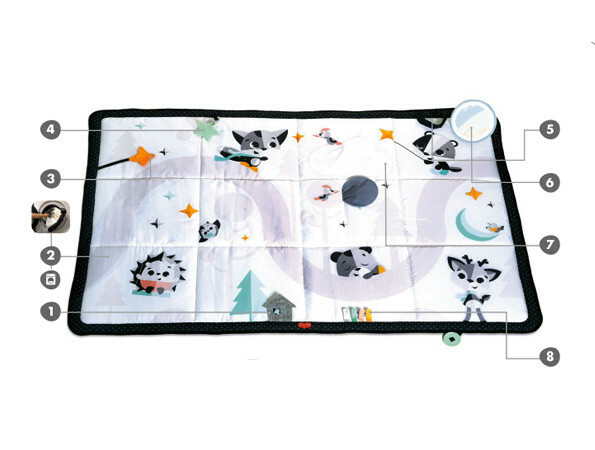 A spacious black & white baby mat especially designed to encourage babies' development from day one. 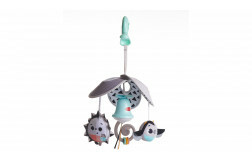 Perfect for indoor and outdoor fun, bonding and communication. 8 ACTIVITIES THAT ENCOURAGE COGNITION, GROSS MOTOR SKILLS AND MORE. 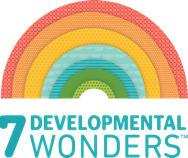 Extra-large developmental playground that inspires exploration and discovery, supporting development. EXTENDS TUMMY TIME with a slew of engaging activities and an adjustable stand-alone mirror. OFFERS VISUAL STIMULATION. 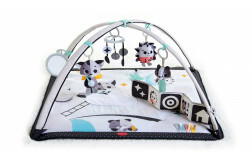 The mat's contrasting black & white design offers baby important visual stimulation from day one. COMPACT & VERSATILE PRODUCT that is easy to fold and carry to take along. From the very first days, the Super Mat is the perfect setting to get close up with baby, bond and connect. Lie next to your little one and cuddle up, gaze at each other, talk and sing songs, taking the precious opportunity of getting to know one another and communicating. Encourage your baby to lie in tummy time by engaging baby with one of the features and activities. Point to the Magical illustrations, draw baby's attention to the peek-a-boo tree and satin ribbons, or place the mirror at a convenient angle for your baby to explore his or her own reflection. When your baby is older and sitting up, let them enjoy the cozy playing area both indoors and outside and explore the mat's various features and activities from an exciting new angle. The contrasting design with the clearly defined illustrations, the rattling and crinkling sounds and the use of various materials stimulate baby’s senses. Bonding time is the perfect way of reassuring baby and supporting emotional development. Enjoy the spacious soft mat together with baby around the house or in the park. As babies explore the shiny satin ribbons, they practice their hand and finger muscles, developing their fine motor skills. As babies plays with the fun peek-a-boo tree, the understanding of object permanence begins to form in their minds.